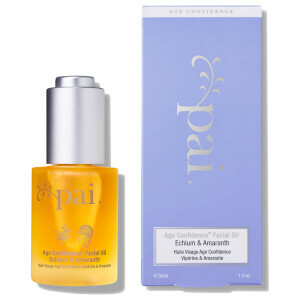 Pai's Rosehip Bioregenerate Oil is a best-selling skin-saviour packed with the nourishing and healing benefits of organic Rosehip Fruit and Seed oil. Sourced via supercritical extraction (a more expensive but gentler process than cold-pressing) to ensure a fresher, long-lasting blend of Rosehip Fruit and Seed oil, the deeply conditioning formula helps to restore balance and improve the appearance of sensitive skin. Rich in Omegas to help regenerate without irritation, the luxurious, deep orange oil is packed with more benefits than cold-pressed Rosehip Seed oil; it delivers skin healing properties and protective antioxidants to defend against damaging environmental aggressors. Infusing skin with nutrients, the oil fuels essential overnight regeneration, and intensely nourishes skin, improving the appearance of firmness and elasticity whilst promoting a more even tone. The highly concentrated blend will also contribute to the improvement of dryness, blemishes, dull skin, fine lines and scarring. Delicate, sensitive skin is left feeling confident and comfortable. Free from GM ingredients and grown without pesticides or synthetic chemicals. Apply 2-3 drops to the palm of your hand and use fingertips to gently massage into clean, slightly damp skin on face or body. Allow the oil to fully absorb before dressing. For best results, we recommend using oils at night before bed and creams in the morning. Rosa Canina Seed Extract*, Rosa Canina Fruit Extract*, Tocopherol, Rosmarinus Officinalis Leaf Extract*. *Organically produced 99% of product. Use with care, this rose hip oil is quite the potent blend. Do not use too much, and make sure to dilute with some moisturiser before/after! My skin took on a bright pink flush far too quickly, and then I had to quickly dilute it after but it frightened me. Skin is glowing now; though! I've used rosehip oil from several brands before - Trilogy, The Ordinary, Life Flo - but I must say that Pai's rosehip oil is my favourite. It absorbs so much more quickly into the skin. I also love the consistency, the scent (which is relatively strong before it fully absorbs into the skin; I can see why it may turn some people off), and how it soothes and calms my skin. I can practically feel my skin drinking it in, it's that lovely. Will definitely re-purchase this! Simply the best rosehip oil I have tried. The effects are almost instantaneous and in the morning my skin looks fresh, hydrated and glowing! This has not only helped my skin but also the scarring I get from hormonal breakouts. I can barely see them within a week. Will always repurchase! Amazing at night skincare. Soothes, regenerates and brightens my skin. Great for facial massage. Great price performance ratio. I love it. I bought this as my skin was very sore, spotty and dry. I'd had a facial using well known products and bought them, on recommendation, however after weeks of using my skin became unbearable. I was given some advice on rosehip and that this was the best and I have to say that after a matter of days my skin went back to normal, after 14 days it was clear. I am now back on here purchasing my second bottle, although not run out, I don't want to be without. The smell is 'natural' it's literally not touched with perfume, but it does have a smell which goes after a bit. I sometimes use, morning and night but sometimes just either one. Dot on each part of face along with moisturiser and it sinks into your skin. I don't usually do reviews until I've tried for weeks and this is really good to get a review!! My skin is combination.....go ahead and try it, your skin will love it! 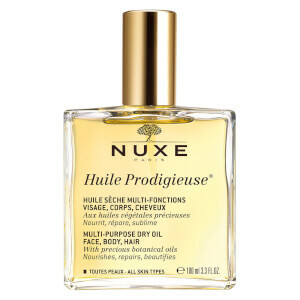 A very good multi purpose oil that you can use alone or mixed with other oils. Can be used on the face and body. 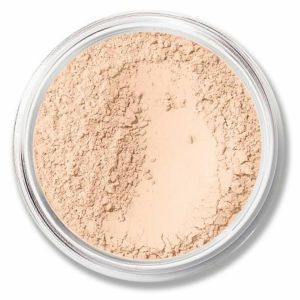 It feels very lightweight and absorbs almost instantly, so it's very ideal for my normal/combination skin. It's reasonably priced too! Have yet to see any miracles but I've only been using it for about a week so I'll have to wait longer to see if if it does lighten scars, which was my main reason for buying it. I have scars from my eczema on my body. I've heard other people complaining about the smell but it doesn't bother me. The Akin rosehip oil smells worse in my opinion. Will try more products from Pai. I mix in three drops to my moisturizer every day and night. I can really feel the difference it has made. My skin doesn't feel dry and tight anymore. Amazing! 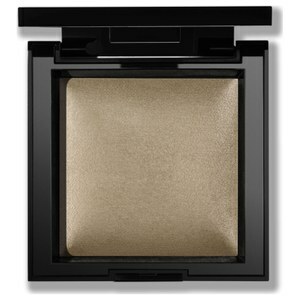 Must have this product, it is excellent! I like it very much! One of the best things I've one for my skin was to buy this oil. I have combo skin but I still love it. I noticed a difference from the beginning. My skin feels nourished, plumped and with "life". I may risk to say that even my pores are a little bit smaller. 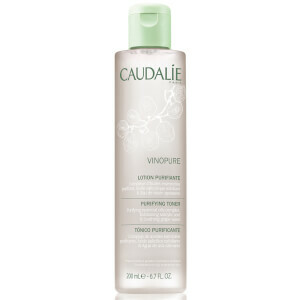 And in the morning, if I has used this at night, my skin is less oily than if I use something specific for oily skin. It's a holy grail.